Thinking is slowly changing on the health benefits -- or lack thereof -- of nonsugar sweeteners in food and drinks. As more data comes in, the evidence for them seems equivocal, at best. Almost any form of resistance exercise, performed as little as once a week for less than an hour, has a significant impact on cardiovascular risk rates. The current study is both large-sample (over 10,000 people) and long-term, so there should be no more debate. Bro, just lift. Prior studies showing candidates genes or gene interactions with a link to depression were almost certainly all wrong. I won't hold my breath until major media retracts all the breathless "depression gene" stories over the last decade. 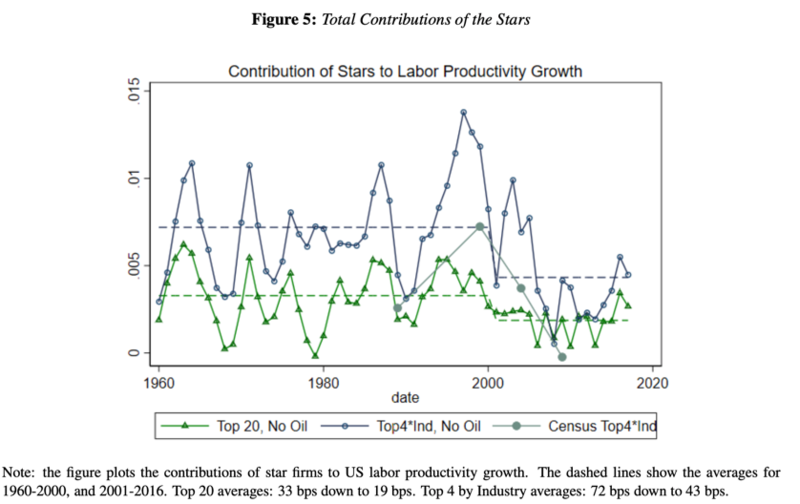 A devastating new paper takes apart the claim that "new economy" companies are more dominant than ever, or more productive, or more ... pretty much anything, other than normal, that is. This is careful work, and while nothing is ever definitive in this area, should be highly cautionary when making claims about technology-driven "star" companies' dominance. Despite being the richest league in world football, the Premier League has only had four clubs in League last eight twice in the last decade. Why doesn't wealth translate into dominance at a league leve? The explainers continue to come thick and fast in the college admissions scandal in the US, but this is a good question that shows how badly people misunderstand the nature of elite colleges in the US: Why Were These Rich Parents So Fixated on Elite Colleges? The answer, of course, is that getting into elite colleges has nothing to with increasing their wealth, but everything to do with inter-family status baubles in a great and pointless competition. The ongoing rethinking of our relationship with Neanderthals remains fascinating, as we find a kind of "Kuiper belt of mysterious hominins".